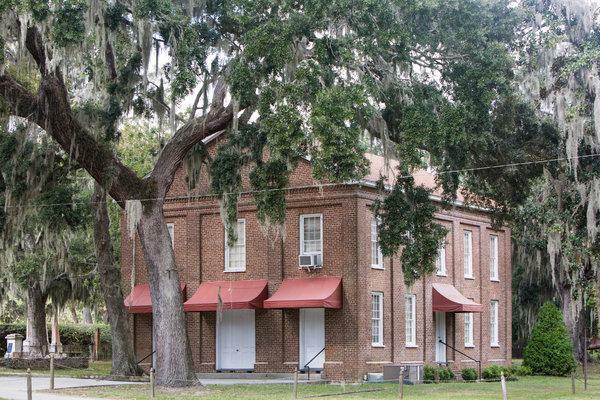 On an overcast June day, I parked my car under a live oak outside a weathered-looking church on St. Helena Island, S. C. I’d interrupted our family vacation for an outing to some of the cultural sites on this island where the Gullah Geechee culture has endured since the days of slavery. My nephews and son had grumbled a little about missing a day on the Atlantic beach, but fell silent as we tramped up the steep stairs to the balcony once reserved for enslaved people. My family has been visiting the Sea Islands off the coast of South Carolina for more than 20 years, but, like many tourists, we had usually blown through St. Helena without stopping. The island has no grocery store, no public beaches and only a few restaurants. At first glance, there wasn’t much to see, but a little research into the island’s history had shown me that the Gullah Geechee culture that has mostly faded from the neighboring islands was alive and well there. The Gullah Geechee are descendants of West Africans who were brought to America’s southeastern coast more than two centuries ago and inhabit regions including the Georgia and South Carolina Lowcountry. 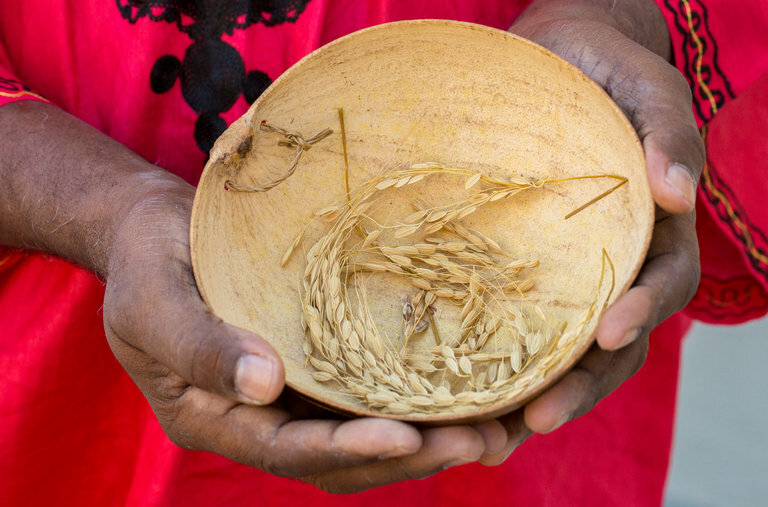 The Gullah Geechee historically spoke their own distinctive Creole language, and still maintain customs and traditions that make them a unique subculture within the African diaspora. By making no effort to engage with this essential part of the local landscape, we had been missing something without ever realizing we were missing it. It made sense to begin with Brick Baptist Church, one of the oldest and most historic structures on the island. The church was built by the slaveholding landowners of the area, but after the Civil War became part of Penn Center, a world-famous African-American cultural institution. Though open to tourists, the church is maintained by a devoted congregation whose bulletins could be seen tucked into the racks on the long white pews. I made sure to explain that while Brick Baptist is a visible reminder of the ugly inequities of slavery, the beautiful church was also a powerful symbol of the struggle for civil rights. My 6-year-old son Henry’s interest in the history was quickly exhausted, but his older cousins comprehended it better, and were interested to learn that the Rev. Dr. Martin Luther King Jr. practiced his “I Have a Dream” speech in the Brick Baptist Church before the March on Washington in 1963. King was staying in nearby Gantt Cottage while working with the Southern Christian Leadership Conference. On a self-guided walk around the grounds, I took advantage of the opportunity to peek through the windows into a modest room with simple wooden furniture. A deep stillness settled over the grove of oaks as I pressed my nose to the cold glass. Penn Center (located on Dr. Martin Luther King Jr. Drive, half a mile from the tiny town of Frogmore) was founded in 1865 as Penn School, the first educational institution in the South created for former slaves. In the 1950s, the school diversified its mission, serving as a retreat for activists and scholars and developing programs to promote economic sustainability. Two buildings on the site, Brick Baptist Church and Darrah Hall, will become part of the new Reconstruction Era National Historical Park, established by President Obama on Jan. 13, 2017. Though the Visitors Center in Beaufort welcomes tourists, Darrah Hall and some other Park sites aren’t yet officially open to the public. The adults in our party enjoyed exploring the York Bailey Museum, where photographs of the original students at Penn School sit side by side with farm tools used by freedmen and women who worked to support their community after slavery. Afterward we drove across the Sea Island Parkway for lunch at Gullah Grub, where owners Bill and Sara Green serve a steady stream of locals and tourists. The walls at Gullah Grub are decorated with sweetgrass baskets and African-inspired local folk art, and the food, with entrees ranging from $9 to $16, shows the same influences. Though on a busy stretch of the parkway, at the corner of Sea Island Parkway and Dr. Martin Luther King Drive, the area still looks and feels rural. As we waited for our lunch, I saw a school bus that had been stripped of its roof drive by, loaded with melons from a nearby farm. The Greens, who opened their restaurant in 1999, have family ties to the Gullah Geechee, and have made it their mission to give back to the community on St. Helena. Along with Gullah Grub, they run a commercial kitchen and a farm, where they train young local people in Gullah cooking and grow the same Carolina Gold rice that was grown on the Sea Islands during slavery. Sara Green described these apprenticeship programs as passing on the values of Gullah Geechee culture. “We clean their hearts up,” said Bill Green of the local youth he trains, whom he hopes will stay in the area and carry on the traditions. At lunch, I had a hard time choosing between crab soup and gumbo but finally settled on the crab soup, which was peppery and full of fresh local crab. My son Henry, normally a picky eater, ordered the barbecued chicken and finished it in five minutes flat. Though rooted in local traditions, the Greens take some liberties — for instance, choosing to cook their vegetables and rice without meat to reduce saturated fat. The white rice and collard greens that I ordered on the side were delicious, and nothing seemed to be missing. After our day in Frogmore, I decided that I’d seen as much of the hidden side of the Sea Islands as I was likely to see without the help of a local. The Beaufort Visitors Center led me to Bill Reynolds, who runs van tours of the area under the name Beaufort Tours LLC. Bill’s most popular booking is the movie tour, which takes visitors on a leisurely hourlong trip to sites made famous by movies including “Forrest Gump” and “The Prince of Tides.” I chose the Plantation and Gullah Tour, which departs from the Downtown Marina. After another brief visit to Penn Center, we headed back out to St. Helena for a stop at the picturesque ruins of the St. Helena Parish Chapel of Ease, an 18th-century church built for plantation families who lived too far from Beaufort to make it to the mainland for Sunday services. On the grounds of the church, among the live oaks and shaggy, overgrown palmettos, Bill told me about Robert Smalls, a Beaufort native and former slave who began his career by taking the Confederate steamer he piloted and sailing it through the Union blockade. After the war, Smalls was elected to Congress and bought the Beaufort house that had been the home of his former master. Although Smalls lost his seat in 1886, he remained active in Beaufort politics and community affairs until his death in 1915, and is honored with a monument by his grave in the churchyard at Tabernacle Baptist Church in downtown Beaufort. Again and again I found that my efforts to uncover the stories of this area were full of these contradictions — on the one hand, monuments to a ruined history; on the other, inspiring stories of heroism and survival. Next Bill took the van down a sandy back road to Coffin Point, where we stopped at a small cemetery that has been maintained by the local community since the days of Reconstruction. Bill told me that he recently brought a woman who had traveled from California to trace her family history to the cemetery, and that she’d found the graves of several ancestors among the thick vines and palmetto scrub that grow along the heavy wrought-iron fences. The highlight of the tour for me was a visit to the Coffin Point Praise House (57 Coffin Point Road), a white clapboard building, measuring 10 by 15 feet, which has served as a gathering place for the people of this community for more than a century. The praise house is tucked back in a grove of locusts and big pines, where squirrels chittering in the branches nearly drowned out the burr of a neighbor’s lawn mower. Originally, praise houses were used as houses of worship for slaves. 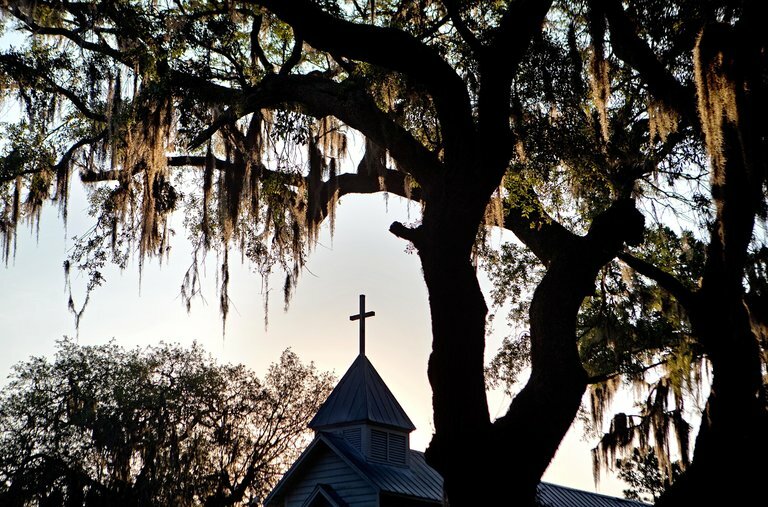 While Lowcountry planters built fine churches like the Chapel of Ease and Brick Baptist for themselves, enslaved people found ways to maintain gathering places like Coffin Point. The size of the structure was limited in order to prevent large groups from gathering in one place. White plantation owners feared the slaves might organize resistance. Bill had a key to Coffin Point and let us make our way through the narrow aisle to the altar, draped by a hand-sewn cloth, where two old-fashioned lamps bookend an open Bible. I took a seat on one of the white pews and tried to imagine the services that once took place here. Later I’d learn that the singing of spirituals and praise songs might have gone on for hours, ending with a counterclockwise dance known as a “ring shout,” or “shout” for short — a spontaneous outlet of joy and enthusiasm for an enslaved people with few such opportunities. After the tour, Bill put me in touch with Mary Rivers Legree, who maintains the praise house as president of the Coffin Point Community Association. Ms. Legree’s family has lived on the same land on Coffin Point since the era of slavery. She was raised there until the age of 9, then moved north. My family and I spent the next morning on the beach, but at the end of the day I was charged with the task of visiting the Gay Fish Company (1948 Sea Island Parkway) for our daily ration of extra-large white shrimp. I took advantage of the opportunity to spend a few minutes with Charles Gay, who co-owns the business with his sister and brother. I’d caught glimpses of Mr. Gay over the years, along with other members of the family (a grandson frequently works the cash register), but I’d never spent more than a few minutes in the bustling front room, where coolers of shrimp, crab and local fish fill the air with the briny scent of a Lowcountry summer. Mr. Gay, who is white, grew up speaking Gullah, having learned it from his neighbors. Like Ms. Legree, he remembers St. Helena as a remote community, so safe that nobody ever locked their doors. But the Gays are also feeling the pressure of increased land prices, and — perhaps more significantly — climate change. Hurricane Matthew hit the Sea Islands hard in October 2016, destroying the docks at the Gay Fish Company. Mr. Gay and his siblings put the business up for sale in March 2017, but the business has remained open while they look for a buyer. Mr. Gay said that he’d like the new owners to keep the family name, but he didn’t sound optimistic. “People don’t understand the history that’s here,” he said. When our week was up, I left the Sea Islands with a new appreciation for the rich history of the Gullah Geechee and other longtime residents, as well as a new anxiety about their future. There are reasons for optimism. Penn Center is thriving, and the Reconstruction Era National Historical Park will draw new visitors to the area. The island is changing in other ways as well, with a yearly influx of migrant workers who come to work on the tomato farms. Latino grocery stores stocked with pan dulce and fresh chiles now dot the landscape along the Sea Island Highway, side by side with gas stations and produce stands. To all appearances, the area is flourishing. However, the threat of gentrification from rising land prices and climate change pose real challenges to the island’s residents. As I drove home, I thought about the future of the Sea Islands, and my own role in that future. As a white visitor to a historically black community, I can’t ignore the way that race has shaped and will continue to shape this landscape. I’m also well aware that white tourists like me are part of the forces of gentrification. I’ve made a personal pledge to support local organizations like the Penn Center and the Gullah Grub owners’ Marshview Community Organic Farm, and to do whatever I can to advance the cause of environmental justice in this area. Climate change will hit the Lowcountry and its low-income residents hard, and my family has a part to play in ensuring that life here is sustainable. I hope that my children and my nephews will still find a refuge on the Sea Islands in the years to come, and that they’ll take the time to seek out the hidden stories that are easy to miss when you’re traveling 35 miles an hour. Mary Stewart Atwell is the author of the novel, “Wild Girls,” and a professor of English at Virginia Military Institute.